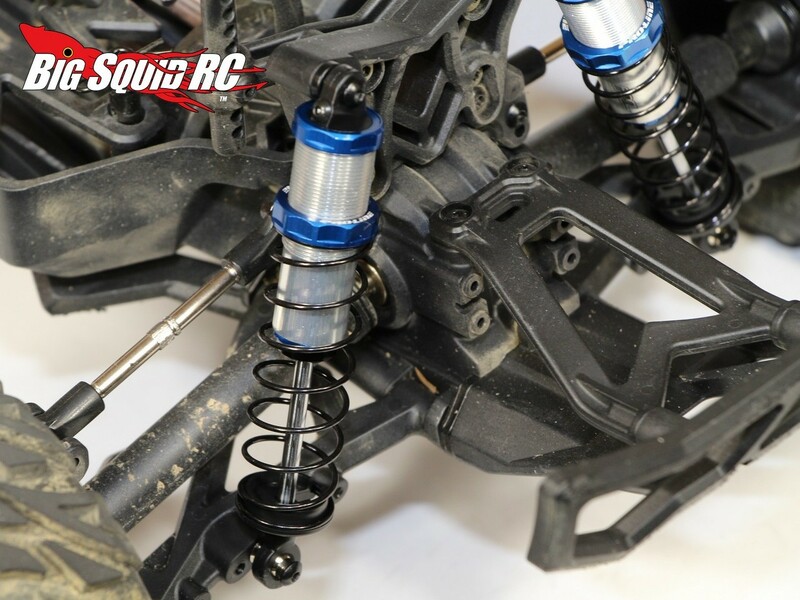 Hop-Up Series Part #1 – Vaterra Halix – Upgrading the Shocks « Big Squid RC – RC Car and Truck News, Reviews, Videos, and More! 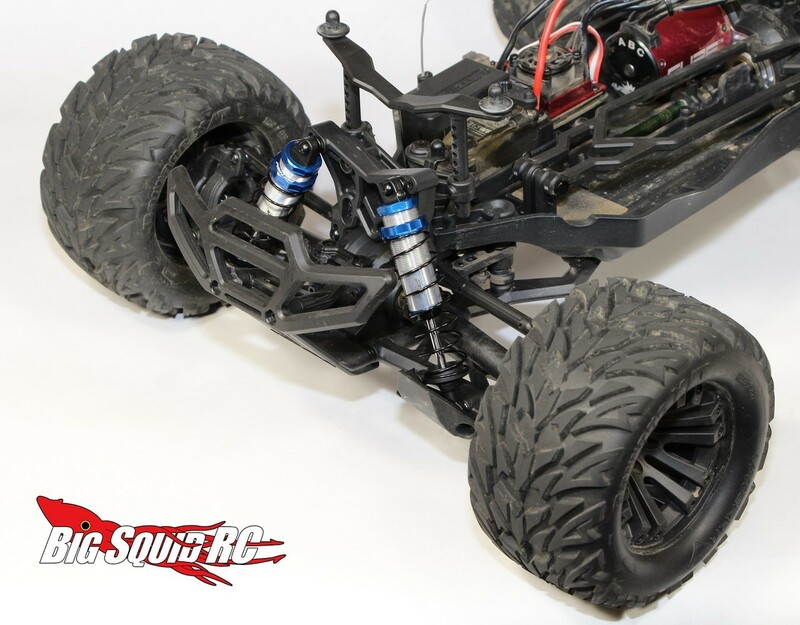 One of our favorite all around bash machines here at BigSquidRC is the Vaterra Halix monster truck. While out of the box it is great fun to bash, we are doing a series of hop-up articles to make it truly epic. 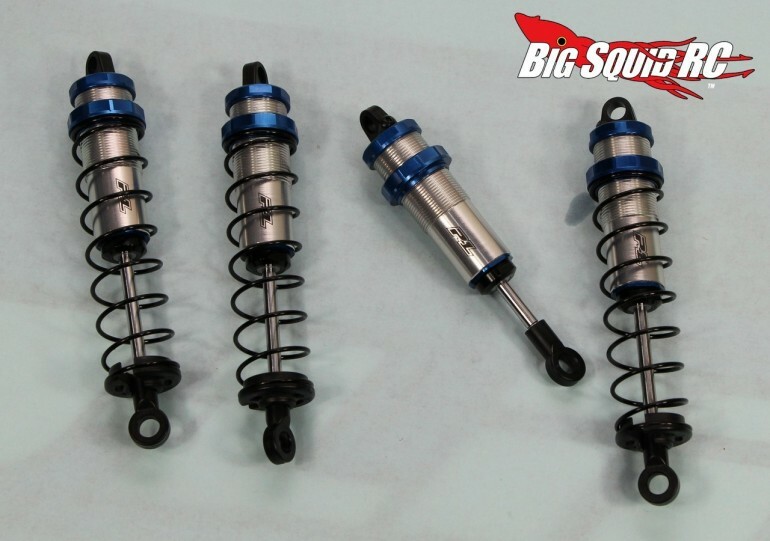 This week we’ll start off the series by upgrading the shocks. 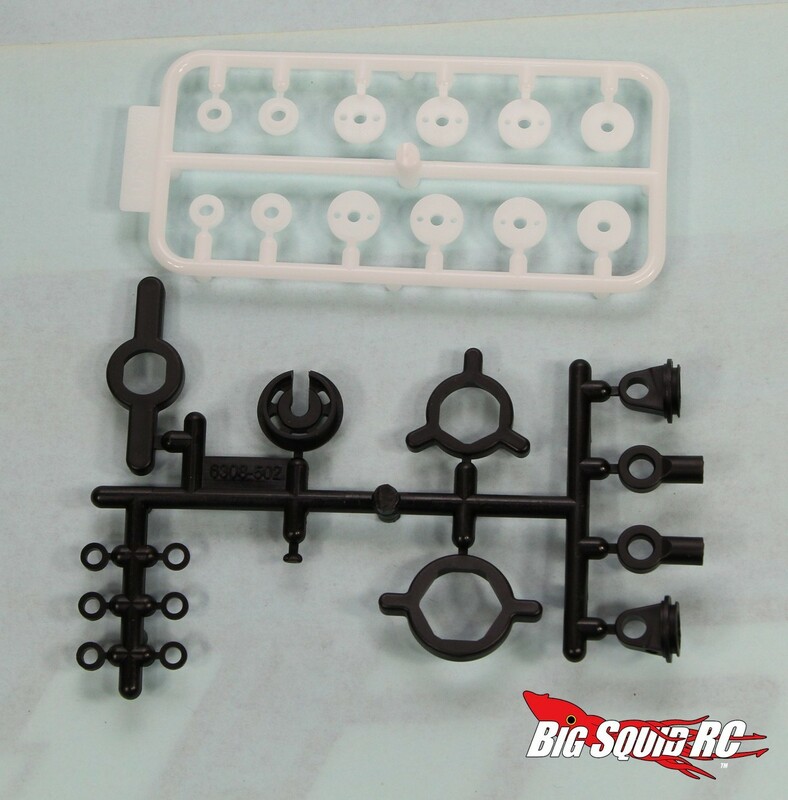 The stock shocks on the Vaterra Halix work fine, but use plastic bodies and we were looking for truly top-of-the-line performance. 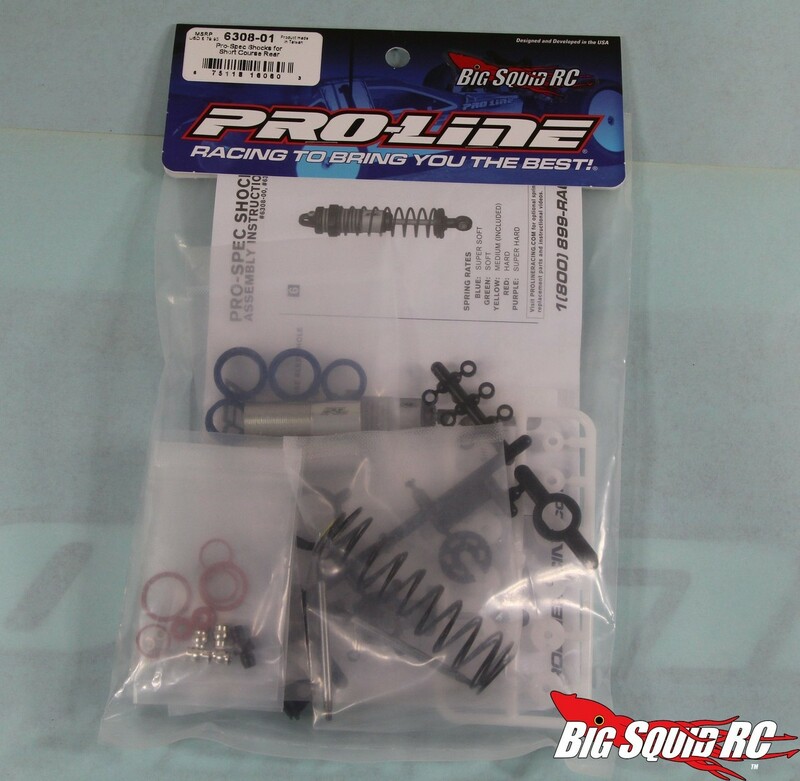 With that in mind we contacted Pro-Line Racing and ordered up two sets of their high-end Pro Spec Shocks. To fit the Halix we used the “long/rear” length, and also ordered their heaviest shock springs (super hard, part #6308-20, $8 a pair) to handle the weight of the Halix. 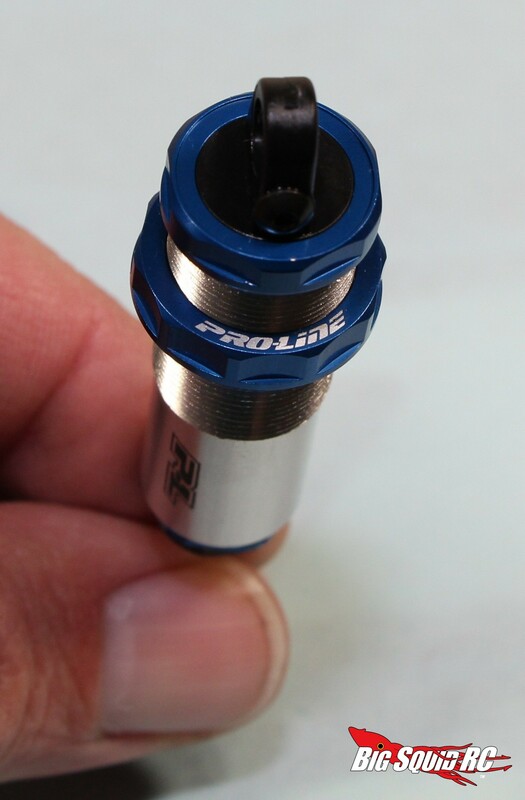 The Pro-Line shocks come with 3 different sets of pistons to choose from, after some testing we ended up running the heaviest damping pistons (smallest holes) in the front shocks, and medium holed pistons in the rear. 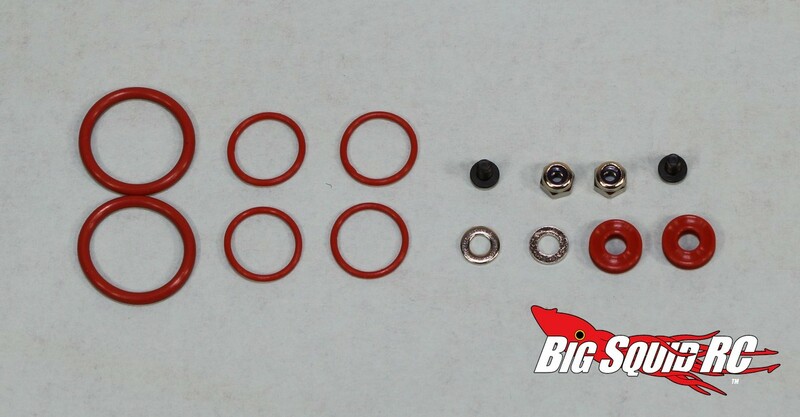 For shock oil we ended up running 40 weight Associated in the front and 30 in the rear. The Pro-Spec shocks mounted up without issue using the supplied hardware. 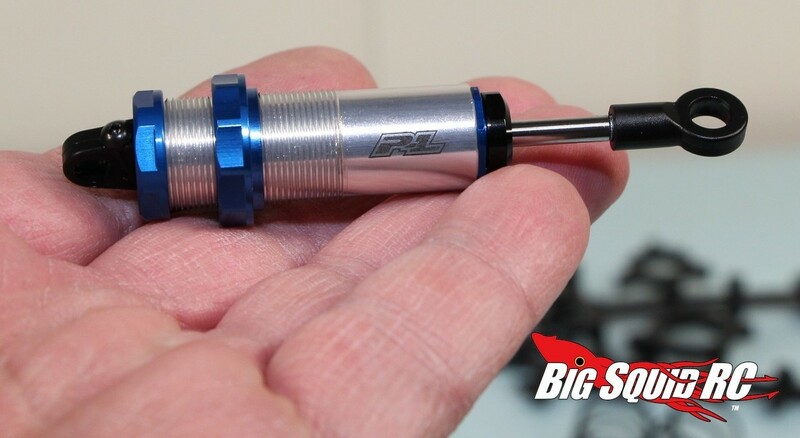 The “long/rear” Pro-Spec shocks are slightly longer than the stock front shocks, and slightly shorter than the stock rears, but by using alternate mounting holes in the a-arms this was not an issue. While out bashing the Pro-Specs provided top notch performance. We set ours up a bit on the heavy side which worked extremely well in high bite conditions, as well as when hucking big wood ramps. The Pro-Specs soaked up big hits like a champ and we never had an issue with them, even after extended abuse. To boil it down, the Pro-Specs felt like we had bolted up a finely tuned set of “A-Kit” factory suspension, they worked that well. 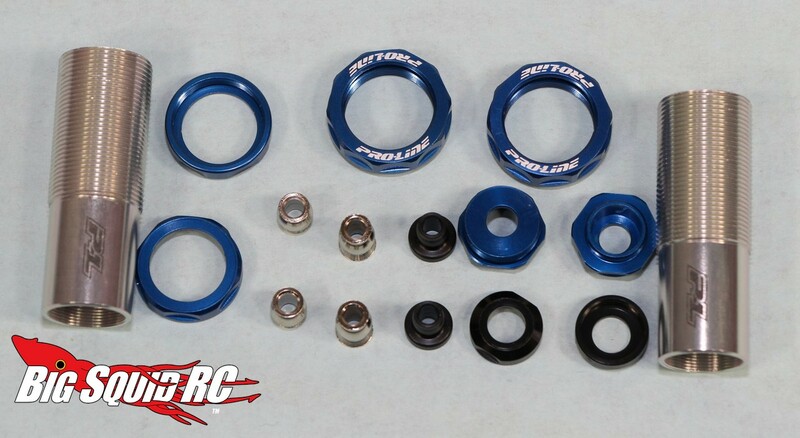 Next week in part #2 of our hop-up series we’ll be mounting up some new wheels and tires. Until then you can Click Here to read more hop-up articles right here on BigSquidRC.